Colorado is likely to have a bill on online poker passed very soon. There has been much lobbying in this regard, and poker lovers in Colorado are hopeful that online poker will soon be legalized. In a number of US states, the poker law is not explicit especially regarding online poker. That means that betting enthusiasts are unable to foretell if and when they are crossing the line in regard to the state poker law. Colorado has around forty casinos, and a good number of them provide poker rooms. Needless to say, casino owners will be among the happiest people when the Colorado Gaming Commission succeeds in getting the law on state online poker passed. For close to five years now, interest regarding online poker has been rising in Colorado. With equal measure are the concerns about what online poker may do to the conventional arena of poker. First on the list of concerns is the possibility of revenues from brick and mortar casinos dropping when some old patrons turn to online poker. The debate about online poker began to gain volume around 2011 when the Colorado Gaming Association released a report on a study they had commissioned dwelling on the prospects of online gambling and its effects on the existing Colorado casinos. Colorado legislatures took the debate on online poker seriously, and in 2012 they initiated a bill that was meant to lead to legalization of online poker in the state. Colorado state laws have not addressed the issue of online gambling before, and that leaves poker players as well as their fans wondering where the state stands with regard to online gambling. It will be a great relief when ultimately the poker law is enacted and particularly addressing the state online poker law. As owners of brick and mortar casinos fear, failure to address the topic of online poker with a view to regulating it is likely to jeopardize commercial activity in the industry. Currently, the state of Colorado gets a whopping $750 million annually in annual revenues from casinos. If the online poker bill draft is passed into law as is anticipated, the state will, very likely, reap more revenues from the gambling sector. One pertinent point is that the brick and mortar casinos and hosts of online poker need not be mutually exclusive in terms of ownership. In fact, owners of current casinos may wish to participate in hosting online poker as well as long as they understand the infrastructure and the legalities involved. They may also wish to spread their tentacles to neighboring states. That would make it easy and convenient for the state of Colorado to gather revenues from a much bigger number of gambling centers. These are great prospects for the state as far as budgetary issues are concerned. It is tempting to think that the state of Colorado has been enthusiastic about gambling considering that 40 is not necessarily a small figure when it comes to number of casinos in the state. However, that is not the case. Granted playing poker is legal in Colorado; but the ceiling for betting amounts is quite low – $100. That might come as a surprise to people who are familiar with the gambling that takes place in Las Vegas casinos and such other vibrant casinos. And even this $100 is an improvement. Before 2009, a gambler could only bet $5 and below at any one time. 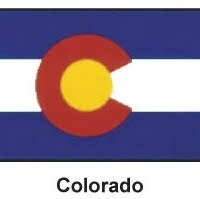 However, Colorado can no longer afford to ignore the need to liberalize poker a bit more. The fact that New Jersey and other states like Nevada have embraced online poker is itself enough pressure for Colorado.